What a generous little girl! Last year, she and her family helped at Friends of Foster Kids and it truly touched her heart. 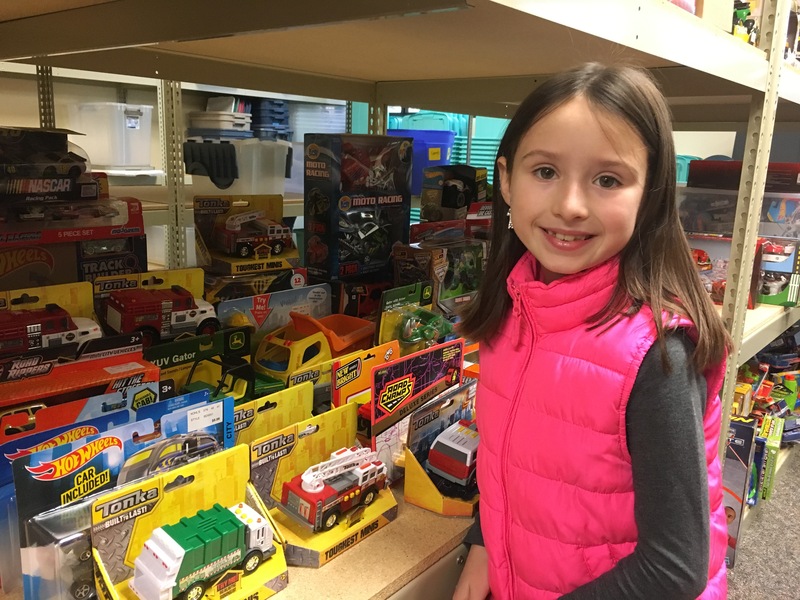 It made such an impression on her that she took the money she received for her birthday and bought toys for the foster kids! A special thank you to our special angels for your donations. FOFK provides Christmas for foster children who have been removed from their homes due to abuse and neglect and placed in temporary housing or shelters. FOFK fulfills each child’s wish list with new items wrapped with care and then works to ensure timely delivery for Christmas. If you would like to find out how you can make a difference in the life of a foster child at Christmas, please contact us at info@friendsoffosterkids.org and stay connected with us year round on social media, Follow us on Twitter and Like us on Facebook!